Bring your potatoes to the next level - try adding your favorite spices or herbs and maybe top with some low fat cheese! 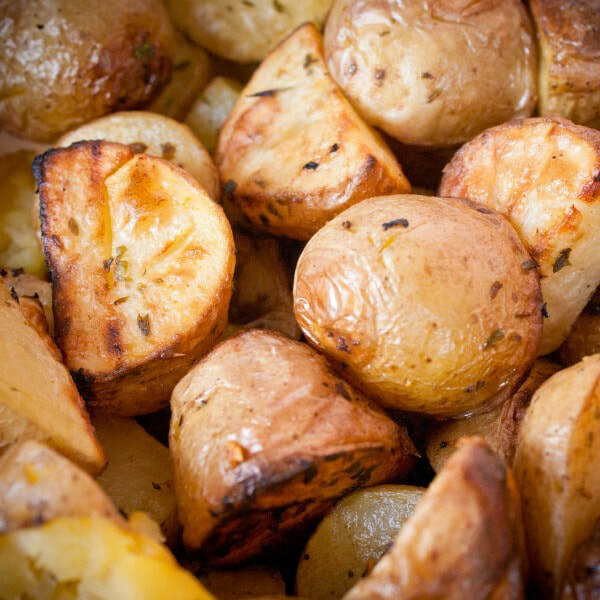 Leave the skin on your potatoes to increase the fiber, vitamins and minerals. In a medium-size bowl, mix potatoes, onions, green peppers, and garlic. Add vegetable oil, salt, and pepper to bowl. If using parsley and paprika, add that too. Mix well. Optional: Cover bowl and refrigerate for 15 minutes. Spread potato mixture evenly on a cookie sheet. Bake for about 35 minutes. Serve hot.